Two Palestinian prisoners, Ahmad Abu Fara and Anas Shadid, are on their 57th day of hunger strike against their imprisonment without charge or trial under Israeli administrative detention. On Friday, 18 November, the Israeli Supreme Court ordered their administrative detention “suspended” due to their desperate health conditions; both are held in Assaf Harofeh hospital. Like previous hunger strikers, they refused to end their strike based on this “suspension,” as it has been shown that the Israeli interpretation of this action is merely to re-impose their administrative detention once their medical situation improves. While their detention is suspended, they will not be shackled to the bed and may receive visitors. However, the detention order itself remains in place. Abu Fara, 29, and Shadid, 19, have been on hunger strike since 25 September. Both have been imprisoned without charge or trial since 1 and 2 August, respectively, and are on strike to demand their release. They are suffering from severe weight loss, headaches, inability to walk or move, dizziness, inability to speak and blurred vision. They have now been placed in one room and are continuing to refuse food or medical nutrition. They are among over 750 Palestinians imprisoned without charge or trial under administrative detention. A number of administrative detainees, including Khader Adnan, Bilal Kayed, and Mohammed al-Qeeq, have launched hunger strikes to win their freedom. Under administrative detention, Palestinians are ordered imprisoned for a one to six month period, indefinitely renewable. This means that people regularly spend years imprisoned without any charge or trial against them, on the basis of secret evidence. 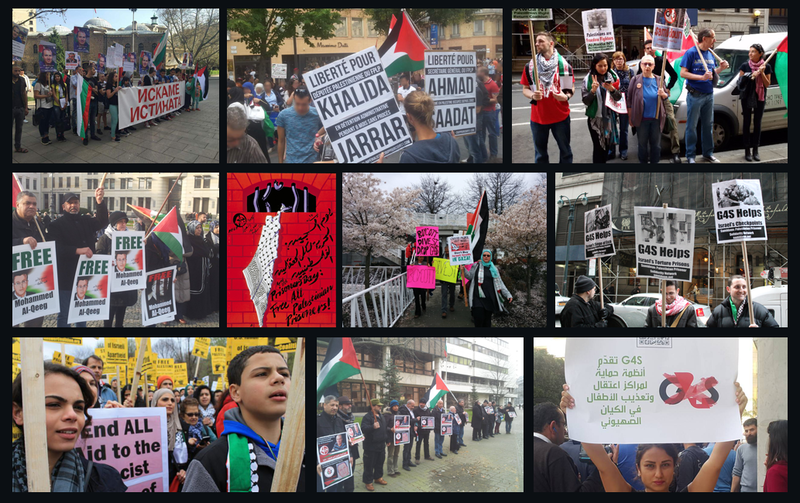 Samidoun urges widespread international support and action for Shadid and Abu Fara and all Palestinian prisoners confronting repression, racism and settler colonialism within Israeli prisons.